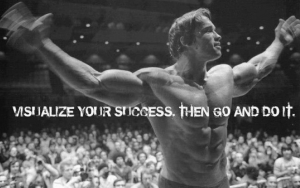 Visualization: How the World’s Most Successful People Manifest Their Own Destiny. Think and Grow Rich was based on Hill’s belief that in order to achieve any goal, you must have a strong, unrelenting expectation of success. Today, we know this as visualization, and it’s one of the most powerful tools we have for creating success. In its simplest form, visualization is the process of creating a vivid mental picture of a future event. In terms of achieving goals, it can be broken down further into two parts — process visualization and outcome visualization. Process visualization involves envisioning the steps it would take to achieve your goal, while outcome visualization involves imagining that you’ve achieved the goal. 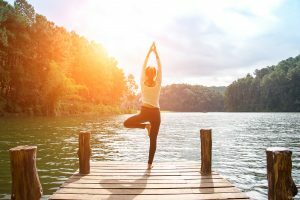 If you’re trying to lose weight, you could use process visualization to imagine yourself cooking and enjoying healthy food, or going to an exercise class and feeling great afterwards. You might combine this with outcome visualization, envisioning yourself seeing your goal weight on the scales or buying clothes in a smaller size. If you’re training to run a marathon, process visualization might involve picturing yourself going out for your morning run and beating your previous day’s time. You might visualize the outcome by picturing yourself crossing the finish line of the marathon, cheered on by your family and friends. Process and outcome visualizations can be applied to any goal, whether you want to learn a new skill, build a successful business or find the love of your life. So How Does Visualizing Something Make It A Reality? First, let’s look at the science behind process visualization. You know that in order to become skilled at anything — a sport, a language, a craft — you have to practice. That’s because when we perform an action, we create a neural pathway in the brain. Every time we repeat that action, we strengthen the pathway, until eventually the action becomes second-nature. 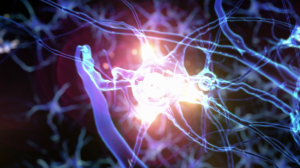 Interestingly, recent studies have found that even just thinking about performing an action can strengthen neural pathways in the same way as actually doing it. The brain doesn’t distinguish between real and imagined stimuli, and so simply visualizing the stimuli is enough to activate the nervous system and provoke a response. One particular study showed that when weightlifters only imagined going through their strength-training routine, they experienced similar levels of cognitive activation as they did when they actually performed it. Another study found that when basketball players visualized making successful shots first, they outperformed their teammates who did not. 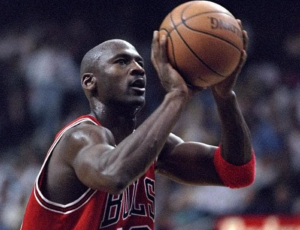 Michael Jordan would agree; before each throw, he first went through the motions in his mind. As we know, he had no problem sinking shots! And he’s not the only sports star who can attest to the power of visualization. One of the most successful female skiers ever, Olympic gold medallist Lindsey Vonn goes through every single run in her mind first. Of course, visualization is not a substitute for action. Part of their success is down to talent and practice, but it’s further evidence that visualization provides a powerful boost to back up your actions and push you in the right direction. Now, let’s take a look at outcome visualization. Every day, we receive a barrage of information from our surroundings. We can’t possibly process all of it, which is where the Reticular Activating System, or the RAS, comes in. The RAS acts as the brain’s filter, using established patterns to decide what we need to pay attention to and what we can ignore. For example, if somebody calls out a random name in a crowded room, you probably won’t notice. However, if they call out your name, it will catch your attention. That’s because the RAS knows that your name being called usually requires a response, and it allows it past the mental filter so that you can react. Well, you can deliberately prime your RAS to respond to certain cues. By visualizing a specific outcome, you’re telling the RAS to look out for information that aligns with this goal. This information might have otherwise been filtered out, but suddenly you’re receptive to all kinds of opportunities and resources that will help make your goal a reality. Some of the world’s most successful people credit this form of visualization for helping them to reach their goals. Will Smith maintains that he’s always been an A-list star in his own mind, but we “just didn’t know it yet”! Prior to his big break, Will’s fellow A-list actor Jim Carrey wrote himself a check for $10m and dated it 1994. He carried it with him every day, going on to earn exactly $10m for his starring role in Dumb and Dumber, released in — you guessed it — 1994! The real beauty of visualization is realizing that you already have everything you need to make your dreams a reality. Whatever your goal, all of the opportunities and resources already exist around you, and you simply need to be receptive to them. All of the skills and capabilities exist within you, and you simply need to channel them towards your goal. 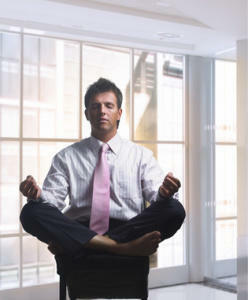 Visualization opens your eyes to the fact that the power is in your hands, should you choose to use it. With that knowledge, there really is no limit to what you can achieve. That’s why I swear by visualization in my own life, and why it’s at the core of so many of the sessions I provide for my clients. 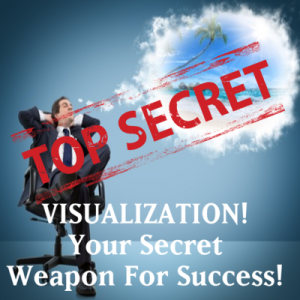 Are You Ready To Discover The Power Of Visualization For Yourself? My membership site, Limitless, features a library of over 100 recordings, helping you to achieve everything from weight loss and fitness, to wealth and career success, to freedom from stress and anxiety, and more. I use a combination of visualization, meditation and hypnosis to help you discover your own personal power, manifest your goals, and bring your dreams to life. Click on the button below to access over 100 of my advanced visualization sessions.